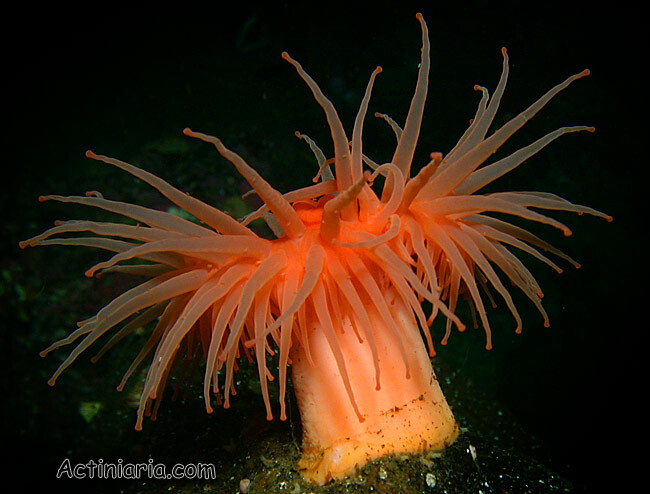 The genus Actinostola contains number of species, most of which occur in deep water, although some species, including Actinostola chilensis can be found on depths accessible by divers. 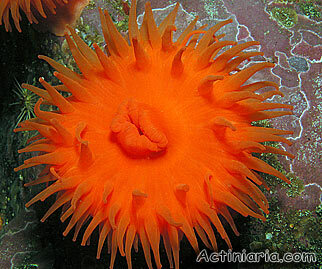 Actinostola chilensis is Chilean species with characteristic bright-orange disk and tentacles, almost smooth orange column (paler in its lower part). This species can be easily recognized on the photos. 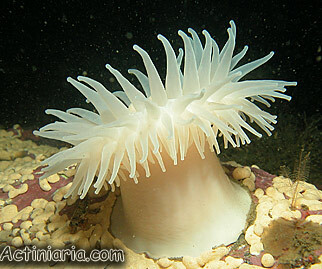 White specimen on the photo below (also from Chile) might to be this or another actinostolid species.